A decentralized exchange that will connect content providers, online video platforms and advertisers for Viewers’ benefits. Why Content Providers can’t grow their video business ? Platforms acts like black boxes. A proliferation of middlemen. It’s then hard to track revenue. Difficulties to reach an audience and be found online. Poor inventory curbs acquisitions. Licensing rights is complex, opaque and insecure. Archaic rules locking sales. Thanks to the blockchain technology and smart contracts, iKAST secures the video distribution, helps Content Providers to manage their rights, tracks licence transactions and reinforces royalty payments. Our exchange allows Content Providers to sell more to more Platform and Publishers. 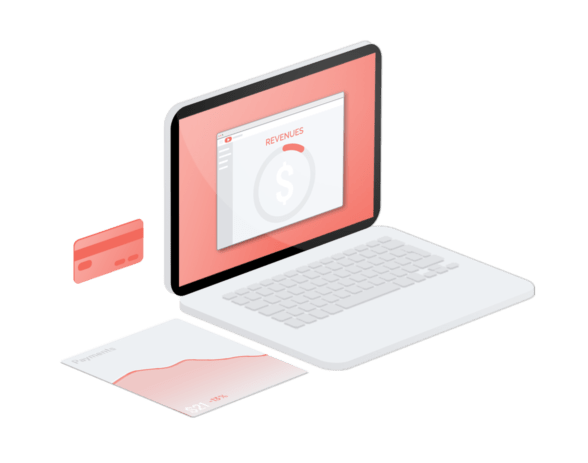 Viewers consumption is managed by blockchain guaranteeing transparent royalties management and fast payments. For the first time, Content Providers can reward viewers for their watching and promotional activity, driving watching consumption, attracting audience and advertisers. iKAST.io unites content providers, online video platforms and advertisers into a decentralized, open and virtuous ecosystem. This allows content providers to better distribute their videos, to optimize monetization by getting more qualified views on their contents and to gain access to new distribution channels through a network of online video platforms. 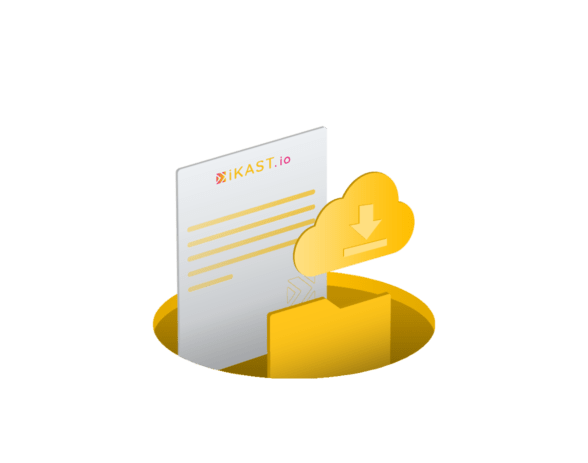 The iKAST.io platform and its economy are powered by the KAST utility token. HEC MBA 2004, Jessica has more than 15 years of experience in global companies (online/mobile games and mobile products) and their startups. President and Co-Founder of OKAST and FlameFy. She was responsible for the strategy and business development of Asia Pacific Area for Ubisoft/Gameloft Group and head of Huawei France Terminal Division. Evangelist of connected products and social TV, Cédric Monnier has 22 years of experience in several key companies of digital TV/Web (Canal+ technologies, NDS, Irdeto) and mobile startup (Bluestreak). Specializing in strategy and product, he has managed R&D teams and launched several leading solutions in Europe, Asia and the USA. Cédric is the CEO and co-founder of FlameFy and hold a master’s degree in Computer Science. Veteran in digital TV, Ivan was Executive Committee Member of Arkena (a TDF company) in charge of Product, Marketing, Strategy and Business Development. He managed new products, rebranding and sales. Prior to this position, he held key positions at Mediametrie, the European leader in audience management for TV, mobile and Internet and also Nagra and Canal+. Colas Overkott serves as Chief Executive Officer, new Medias expert of Sync and Visiware. Mr. Overkott served as Executive Vice President, Sales and Marketing of SCM Microsystems Inc. since November 2002 until January 15, 2006. Mr. Overkott joined SCM in November 2002 and also served its Executive Vice President, Digital TV. Simon starts his career at France Télévisions, one of the leading European public broadcasters, as responsible for international and digital distribution. In 2013, he joins the digital subsidiary of the Group to define and coordinate digital advertising operations in cooperation with the advertising branch. Both experiences, added with knowledge of production ecosystem, allowed him to acquire a global vision of content monetization for filmmakers and right owners. With more than 25 experimented developers in video, big data, and blockchain technologies, iKAST.io gathers a unique set of talents. Director Young Man Kang directed five feature films and four web series. All feature films have been released in the US and have sold in over 15 countries so far. He has a total of 11 awards from a number of film festivals. Director Young Man Kang collaborated with fellow Avatar (director: James Cameron) alumni, Just Cause 3d, on his 4d Experience Project (client Hyundai). The 4d Experience was one of the first 4D film tech showing at the theater in 2010. He is the founder and executive director of the SEOUL WEB FEST and ASIA WEB AWARDS, the first ever web series festival in Korea & Northeast Asia. Now Seoul Webfest has over 30 webfest partnerships in the world. Young Man Kang received the medal of the City of Marseille by Jean-Claude Gaudin, the Mayor of Marseille as Mr, Kang for cultural figure for contribution for introduction and promotion for both cultures French and Korean. Benjamin is COO / Chief Executive Officer of the Dentsu Aegis Network group in France and CEO/Chairman of the Dentsu Consulting entity. For more than 20 years, he has been advising executives on major strategic shifts and complex transformations. He acquired his experience during 15 years spent in management consulting with the firms of Bossard and Gemini Consulting, where he managed several hundred employees. He will become a Partner for 6 years and will accompany major changes in the telecoms, media, industry and bancassurance sectors. He then completed his experience with 10 years as head of communication entities (DDB Brand & Business, Rapp Collins Paris), which he either created and sold or joined to accelerate their development. Since 2014, he has been Senior Advisor of the M Capital Fund and manages the ThinkTank #Culture_Numérique. In 2017, he joined the Board of Directors of ACSEL. In 2018, he co-founded Crypto Asset France with Philippe Rodriguez, where he became its spokesman. Eric is a serial innovator and disruptor, who combines the creativity and risk-taking of a digital media entrepreneur with the meticulous planning and organizational vision of a process engineer. He spent six years in increasing positions with Groupe Canal +, before leaving to establish its U.S. office in Miami. After immigrating to Canada and joining the provincial public broadcaster TV Ontario, Eric helped plan and implement the spin-off of French-language broadcaster TFO, precursor to Groupe Média TFO. In his role as VP Technologies and Optimization, he has overseen GMTFO’s amazing transformation from a single minority language tv channel into an award-winning, multi-platform digital content and distribution network of premium French-language education content. Since 2018, Eric is also leading key blockchain projects within the group with support and funding of Canadian’s FMC and French’s CNC. Experienced investor in TMT, Health, Real Estate projects, Lucy has rich experience in growth strategy and financial practice. She has over 18 years of experience in well-known financial groups. Founder of Quantum New Capital Fund, Lucy holds a Master degree specialized on Finance at Xi’ An Jiao Tong University. Stephane Pere, now Executive Vice President, Business Development of The Economist Group, was its chief data officer since October 2013. He joined the group’s Paris office in 2007 to manage online advertising sales for continental Europe, Middle-East and Africa. In 2010 he moved to New York to launch Ideas People Media. Additionally, from 2012, he was the head of digital advertising sales and agency solutions for the Americas. Prior to joining The Economist, Stephane worked in the advertising industry, including Yahoo!, Canal+, and Bloomberg Television. As Senior Director, Distribution and Partnerships of CBC, Canada’s national public broadcaster and one of its largest cultural institutions, Olivier leads the national multi-disciplinary and bilingual team who ensure the diversification of revenue and the development of new business models that monetize content, channels and corporate assets. Éric Scherer is Vice President of GESTE and Director of Foresight and Digital Strategy for the France Télévisions Group. Reporter, foreign correspondent, chief of post, editor-in-chief, and now blogger, he has held many journalism positions in Europe, Asia and the United States, at AFP and at Reuters, before joining management positions in France and abroad. An evangelist of the digital information revolution, he is a professor at Sciences-Po‘s School of Journalism. With 20 years of professional experience in the television industry, Sandrine began as producer in France. She developed and created big entertainment TV shows for Endemol France as well as she has worked with the biggest broadcasters. With a solid experience in executive production and content development she works 10 years for Canal Plus and M6 channel as director of development of Factual and Entertainment programs. Then she was General Director of Programs of France 4, the youth French public Broadcaster often compared to BBC3. She has been leaving in China in Shanghai since 2014 and works for Shanghai Media Group (SMG) as International director of TV&OTT Formats for 3 years. SMG is the 2nd Media group of China after CCTV. SMG has also developed the only online Chinese and Asian Formats Database to inform, incubate, Import & export, create & protect new Formats for TV and OTT platforms. Gilles is Head of Digital at ARTE France since March 2013. Before joining Arte, he was Head of Creation at the New Contents Units of Canal Plus (Information; Documentaries / Entertainment / Music / CRÉA+). He also was the creator and commissioning editor of Canalstreet.tv, a platform dedicated to Street Cultures. A graduate from Sciences Po Paris, Gilles Freissinier also holds a postgraduate DESS degree in Law and Administration of Audiovisual Communication (Paris, La Sorbonne), as well as a French-German Master’s degree in modern history (Université de Provence – Eberhard Karls Universität Tübingen). Currently Global Executive Advisor of Havas Group, driving digital transformation, business development and content strategy. Former Advisor to Dominique Delport -MD of Havas Group and President of Vivendi Content. Fred is also director of 18 Labs a collaborative research center based in Los Angeles, Tel Aviv, Seoul/Tokyo. 18 aims to have 18 months advance on Media, Creative Industries, Technology and Data Science. 18 connects Havas to academics from major universities, start-ups and talents. Vice President of UNI-XR is the French Virtual Reality Think Tank. Its purpose is to promote French VR Entrepreneurs, artists, technicians and coders. Last but not least, Fred is also Scriptwriter and showrunner. He has created La FRAT, an OTT TV Series for Canal Play, written with Shaun Severi and produced by Save Ferris Production. “The exclusive digital series scored record views on the service” Variety. After a first experience at training a sales force at Hachette group, Michel spent 8 years setting up the video distribution network in Europe and Middle-east for the Walt Disney Company. Then he contributed to the creation and the development of Vamp prod. a French independent TV production company before joining Télé-images a leading production company, subsidiary of Havas Group as director of development. He was then called up by French pubcaster France Televisions to build up the int’l distribution division, before being appointed director of int’l affairs. He is now President of TV France International, the organization promoting the sales of French TV programs worldwide. Manuel Badel is specialized in digital media financing, design and business strategies and works with a diversity of film-TV-Digital media producers, distributors and industry organizations. He previously served as senior advisor and manager at Telefilm Canada, managing initiative support, program design and review, and TV and interactive project financing as deputy director for the Canada Media Fund. This path is supplemented by management positions at the Quebec Association of Media Producers (AQPM), Xn Québec (digital media producers), and at SODEC as film-TV tax credit manager. Manuel Badel completes his range of services with innovative approaches based on blockchain technologies. He is a CIO Certified Blockchain Professional, and his present projects and research focus on blockchain applied to the media industry. Francesco is a Media & Entertainment executive with 18 years of experience in top tier multinational companies such as Scripps Networks Interactive, Fox Networks Group and Euro RSCG. He has been running 15+ Pay TV and Free to Air channels (Fox, FX, Fox Movies, Star Movies, Star World, Food Network, etc.) in Italy and in the Middle East, negotiating major deals and partnerships with all the main Studios and most of the best Indies. Product launch specialist, he has contributed to the launch of more than 25 channels and streaming services across Europe and the Middle East. Jean-Michel Billaut is a French Internet personality. As a forecast analyst for the Compagnie bancaire (which will merge with Paribas), he borrows a minitel to connect this data terminal to the bank servers and invent a concrete application (credit agreement in 10 minutes instead of the usual 10 days) for merchants. In 1978, he created the Atelier Compagnie Bancaire, a technological watch and analysis center for new technologies. Since then, the Atelier has become L’Atelier BNP Paribas. He helped launch a significant number of sites in the 1990s and was nicknamed the “guru” of the Internet. Robert is a Venture Partner at 500 Startups running the blockchain program. Previously he was an executive for startups having founded or worked at eight companies with four exits and four companies still operating. He was CEO for last two venture funded start-ups. He also maintains a broad domain of expertise, having held leadership positions in products, marketing, and operations. Academic credentials include a BA, BS, MS, and MBA degree from Stanford, Wesleyan, and Santa Clara. Daniel has been an investor and executive in a number of successful exits ranging from global tech companies through to Crypto startups. In his earlier career, he was Vice President Global Business Development at Syniverse Technologies where he managed a team of 150 persons and achieved €100mio of annual turnover. In addition to his current leadership and board role with Tokeny, as Chief Strategy Officer, he is a board member and major investor in Melio in addition to being an active investor in other startups. Daniel has a profound understanding of finance and new funding models like STO. FlameFy is the data driven platform for content creators, producers and distributors. FlameFy has developed some unique solutions, based on bigdata and artificial intelligence to develop online presence for content owners and video platforms. 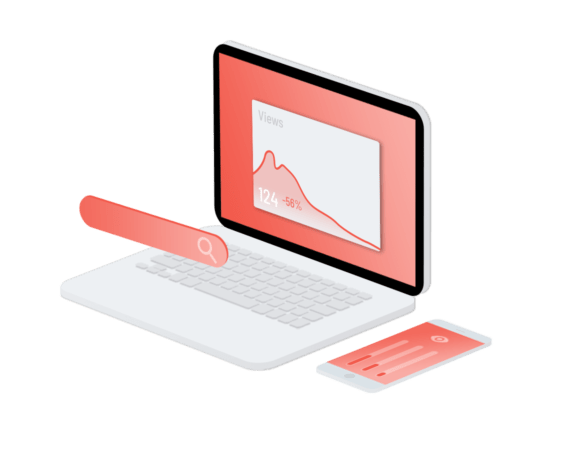 OKAST provides an end-to-end solution for content owners and media rights holders to build their own premium video platform in a click, reach the right audiences and monetize their content further thanks to the power of big data. Ethereum is a decentralized platform that runs smart contracts: applications that run exactly as programmed without any possibility of downtime, censorship, fraud or third-party interference. These apps run on a custom built blockchain, an enormously powerful shared global infrastructure that can move value around and represent the ownership of property. Theo Player is the industry-leading HTML5 based video player delivering a world-class viewer experience across devices. Used by major Broadcasters & Telco operators, such as CNN, British Telecom, or Vodafone, Theo Player has been nominated for ‘Best Online Video Player/SDK’ in Europe. SpotX, part of RTL Group, is one of the best video ads serving platform in the World. It offers a trusted solution for programmatic video for publishers and broadcasters. With ads delivered to 600 million people in more than 190 countries per month, SpotX is one of the most used monetization platforms. AWS is the leading cloud computing solution in the world. With 40% market share, and followed by Microsoft Azure or Google Cloud Platform, it provides the biggest infrastructure in the world, allowing any business to scale easily. Having already a portfolio of a dozen projects, with 2 successful exits, Quantum New Capital is an early stage venture fund specialized in Health, TMT and blockchain related activities. BBFTA is dedicated to providing the voice of the UK blockchain industry and advocacy for education, adoption and the public good. Alliance of key government department leaders, blockchain technology and entrepreneur elites, world-famous experts, well-known venture capital firms and media. ConsenSys is a venture production studio focused on building and scaling tools, disruptive startups, and enterprise software products powered by decentralized technology, specifically Ethereum. We’re an international network of Blockchain and cryptocurrency experts, investors, and entrepreneurs. We support projects through business networking and consulting services across the world. Promoting blockchain education and developing common standards and best practices in the entertainment industry. Copyright © iKAST 2019. All rights reserved.